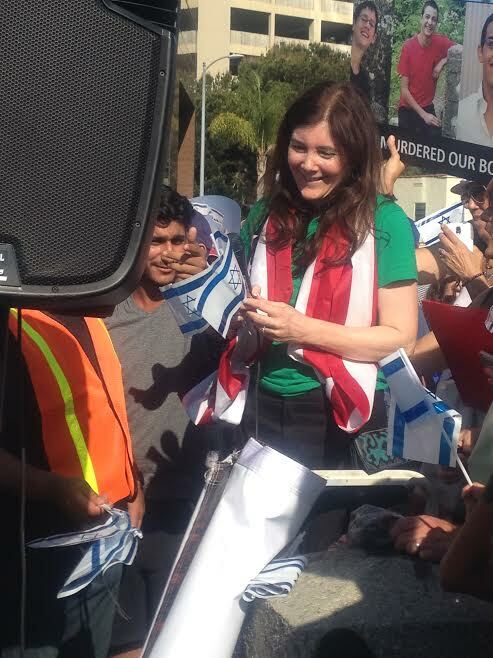 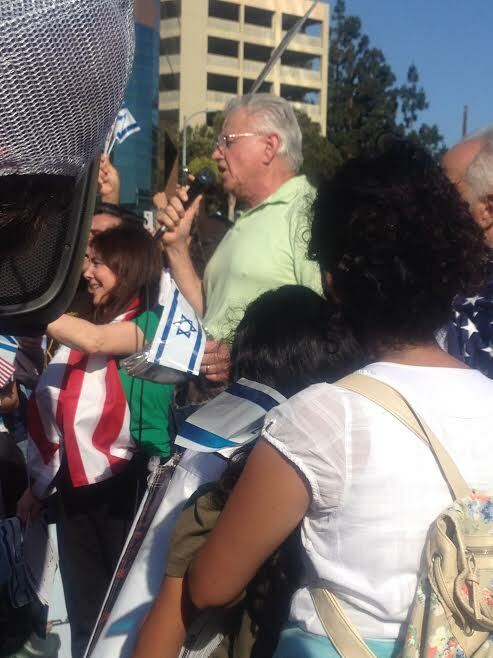 This afternoon, July 13, 2014, the Los Angeles Jewish community and pro-Israel people stood together is a solidarity rally for Israel in front of the Federal building. 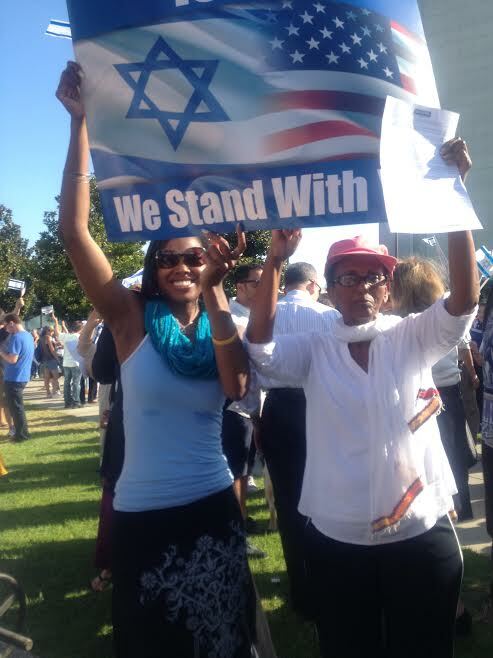 The rally was organized by StandWithUs [to stand with Israel] organization. 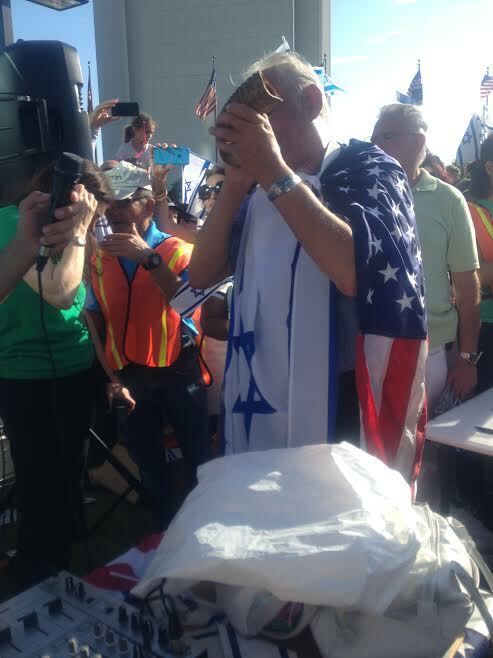 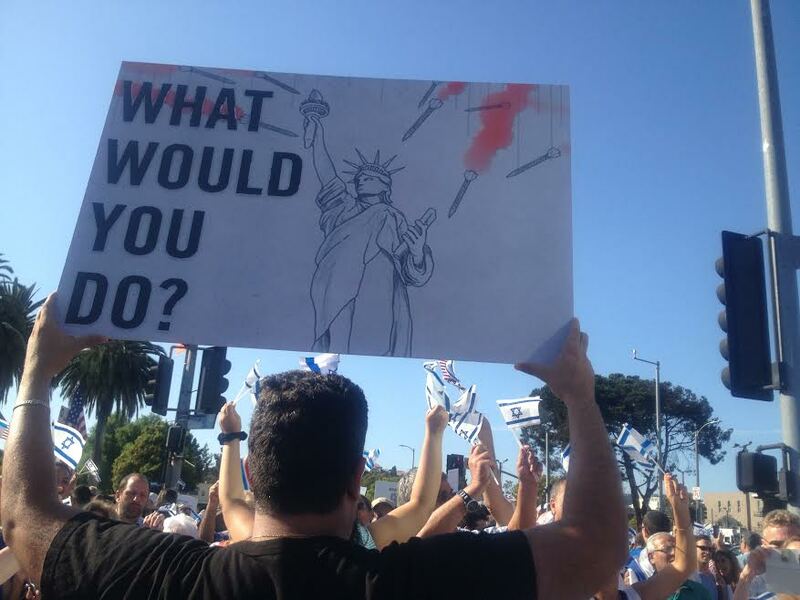 They, mostly Israelis living in the USA, showed up on hundreds, waving Israeli flags, some carrying all sort of slogans on plaques; they sang Israeli songs and shouted pro-Israel slogans and listened to many pro-Israel pep-up speeches. 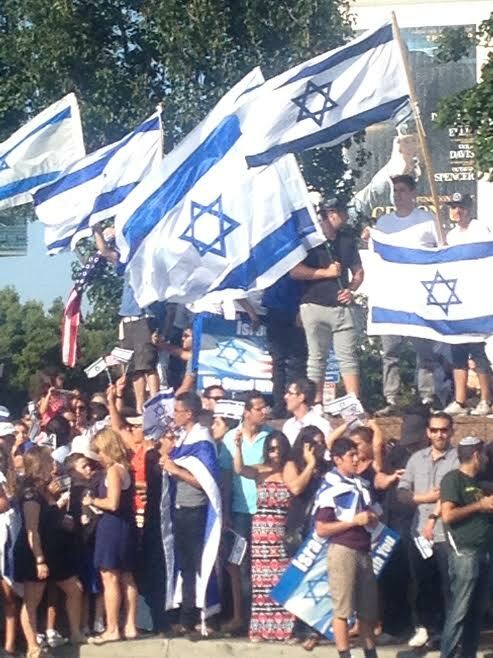 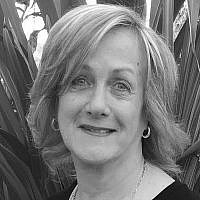 What was lacking was the American Jews, in significant numbers and the rabbis. 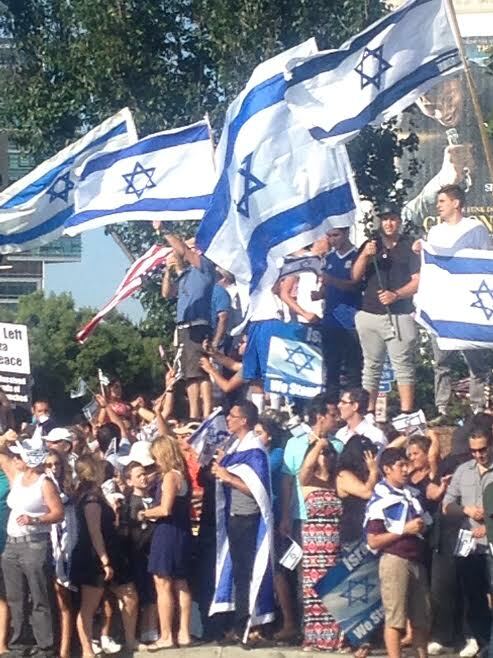 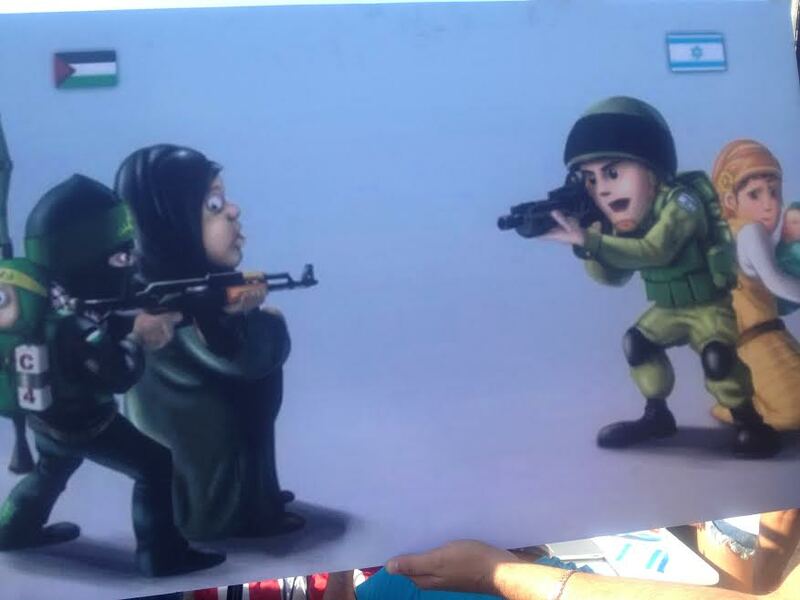 WHY are they shying away from supporting Israel one wonders? 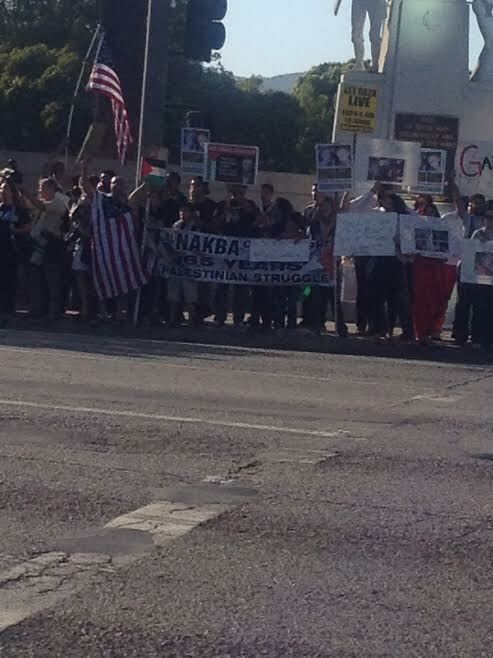 Across from the rally stood some Arabs waving a “Palestine” state flag and plaques with ‘Nakba’ and ‘hudna’ written on them. 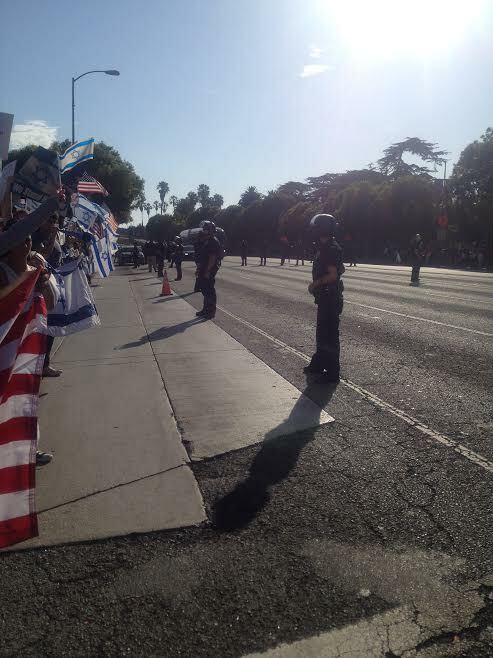 The police watched in large numbers, the crowd was excited but peaceful and two hours of solidarity with Israel is a good way to spend a Sunday afternoon soaked with sun.